Nearly 50 dioceses and religious orders have publicly identified child-molesting priests in the wake of the Pennsylvania report issued in mid-August, and 55 more have announced plans to do the same over the next few months, the AP found. 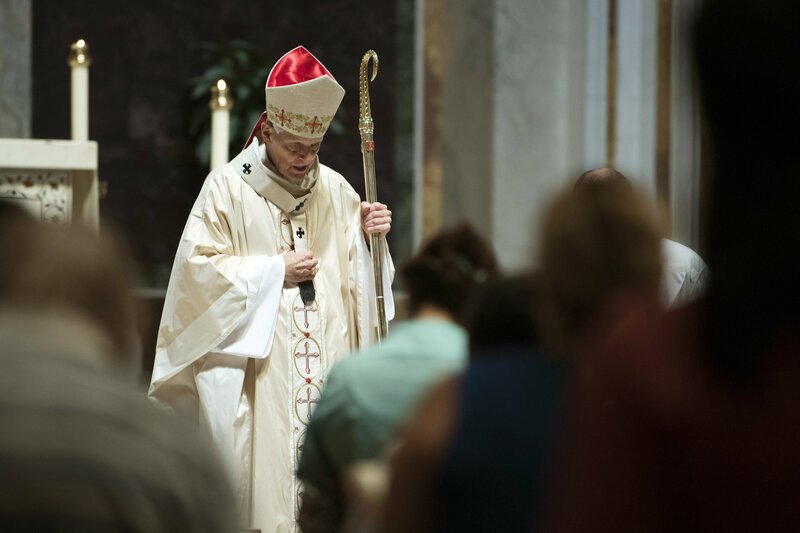 Together they account for more than half of the nation’s 187 dioceses. “People saw what happened in these parishes in Pennsylvania and said, ‘That happened in my parish too.’ They could see the immediate connection, and they are demanding the same accounting,” said Tim Lennon, national president of the board of the Survivors Network of those Abused by Priests, or SNAP. The recently disclosed accusations date back six or seven decades in some cases, with the oldest from the 1910s in Louisiana. Most of the priests were long ago removed from ministry. An AP examination found that than 60 percent are dead. In most cases, the statute of limitations for bringing criminal charges or suing has run out. Nevertheless, advocates say exposing molesters nearly two decades after the scandal first erupted in Boston in 2002 is an encouraging step, in part because it gives some victims a sense of vindication after decades of official silence or denials. Also, it could increase pressure on dioceses to set up victims’ compensation funds, as the church has done in Pennsylvania already. And it could result in the removal of molesters from positions outside the church that give them access to children. “This is a milestone. We are getting closer and closer to what this ought to be, the true coming to terms that would have to be at a national level,” said Joe McLean, who filed a lawsuit with other victims seeking to compel the U.S. Conference of Catholic Bishops to release files on alleged abusers nationwide. The Pennsylvania investigation, led by state Attorney General Josh Shapiro, identified nearly 300 “predator priests” dating back seven decades and accused church leaders of covering up for the abuses, in some cases by returning priests to duty after short stays in treatment centers or reassigning them. Advocates said the report had big impact because it was the largest to date in scope, encompassing most of the state. Victims’ advocates and others, including some church officials, said the report was largely responsible for the urgency now being shown by the church. Many bishops cited those findings and other scandals — including the resignation over the summer of Washington Archbishop Theodore McCarrick, accused of groping an altar boy in the 1970s — in their letters to their congregations. Some dioceses, like Peoria, Illinois, released only names with no information on the allegations or the church’s response. Others detailed such things as parish assignments, numbers and dates of allegations — including an Omaha priest with 20 to 35 accusations against him — and attempts at treatment, restriction and punishment. In his Christmas address last month, Pope Francis made an unprecedented call for priests who had abused children to turn themselves in and vowed the church will “never again” hide their crimes. The world’s bishops will hold a summit at the Vatican next month to forge a comprehensive response to the crisis. The U.S. bishops adopted new reporting procedures and other reforms after the furor in Boston but held off on any further measures recently at the direction of the Vatican. The bishops are holding a retreat outside Chicago starting Wednesday for “prayer and reflection” upon the scandal. Messages left by the AP seeking comment from conference officials were not returned. “The Pennsylvania grand jury report kind of helped us firm up our decision to move forward with what we were doing. It affected the timing rather than the decision,” Taylor said. The report is also credited with spurring an uptick in victims contacting support networks or law enforcement. Pennsylvania’s clergy abuse hotline has received more than 1,400 new allegations since August, and Lennon said there has been a dramatic increase in victims reaching out to SNAP. While praising the release of names, many experts said the lists are often incomplete. Terence McKiernan, co-director of BishopAccoutnability.org, which has tracked abuse for more than a decade, said many dioceses have left off names of known abusers his group has published in its online database. “It was obvious that this type of concealment, this type of unresolved action in Pennsylvania, that we were going to find the same thing in Illinois,” Madigan said.